Save Time! Reserve your order and pick up at our store, located at 119 N. Fairfax Los Angeles, CA 90036. 323-934-8269. We only hold reservations for day of pick up. Thank you. Your order will be ready the moment you walk in! 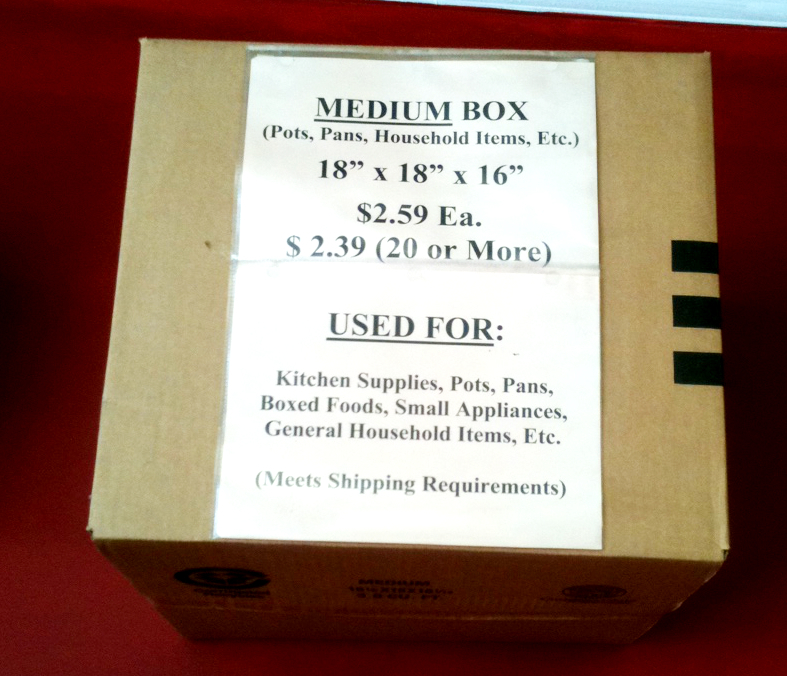 The Box Depot does not guarantee all reserved boxes will be in stock. This is not an online store. The Box Depot does not ship orders.